Articles by: "Jason Kint, CEO—DCN"
Hey Facebook and Google: The stakes are high. You in or out? Regrettably, I found myself sharing these thoughts last Friday with reporters who were working around the clock to process the latest Facebook news. And I’m not alone. Even the most trusting publishers have gone from giving Facebook the benefit of the doubt when they rolled out Instant Articles a few years ago, to a “prove it” mentality today. This is unfortunate considering the power and influence that Facebook has on our lives. Like it or not, Facebook is effectively the largest public square where nearly two billion people around the world gather to exchange information. And there is certainly merit to the argument that the world benefits from the success of Facebook’s experiment to create an open and connected world. Our industry is at an important crossroads. In many ways, the Facebook announcement to reorder News Feed priorities isn’t very different from Google’s early shifts and changes (remember Panda?). Many times search engines have been more impactful to the finances of publishers than anything a publisher could control directly. But really, despite some early utopian proclamations, these platforms are just doing business as usual. They lean in heavily to innovation that aligns with their own business interests and has a positive product outcome while slow-walking anything that creates risk to their own financial interests. Why wouldn’t they? Yesterday, I sent an email to the members of DCN that was quite critical of Facebook. Implicit in my concern is the parallel that can be drawn to Google (something I highlighted in a Washington Post op-ed last October). These two companies are the front door to information for billions of people. So, when they make a tweak or announce a significant shift, the entire information industry needs to pay close attention. Unlike business as usual, “moonshots” are intended to drive real break-throughs that go beyond the horizon of the more cautious bets constrained to basic organizational needs or that don’t inject risk into the cash cows. Last November, we asked Google and Facebook for moonshot-level thinking and initiative to address the fake news and other garbage flowing through their platforms. Yes, the fake news was starting to erode the solid foundation our members’ business is built upon. But the problems go well beyond business. The issues in play resonate deeply through our society. To put it bluntly, both companies have failed to step up to the task. As a result, there are increasing levels of tension in the press, in Washington, and in Brussels as this distrust spreads. And this isn’t good for anyone. Platforms are biased towards solving problems for the lowest-common denominator “publisher” so the solutions can be applied to the wider web. This often creates collateral damage for publishers playing the long game – cultivating brand and engaging customers – and not just focused on immediate financial gain. We’re seeing the impact now as Google attempts to solve for ad blocking or how the industry has dealt with measurement issues. Platforms also have incredible growth expectations, as they really have one goal to surpass Apple as the most valuable company on the planet. These revenue and profit obligations create an inherent bias toward their own products. In fact, the European Commission already found Google guilty of this. Facebook will always drive consumer intent and publisher interests to the most profitable outcomes. This is why video was Facebook’s #1 priority last year. And now it’s not. Americans don’t trust “the media.” In fact, they trust it less and less each day. The research says they do appropriately trust many of our members and the journalists and creatives they employ. However, what Americans think of as “the media” continues to change and now includes platforms, distributors, advertising technologies, artists, advertisers, and publisher brands. And the public doesn’t separate or even understand where the buck stops with each. Every ounce of research I’ve seen shows that more and more consumers are going to places like Google, YouTube, and Facebook to get their news and information despite trusting these platforms significantly less than other outlets. This distrust in platforms and ad technologies extends into the media at large. Facebook and Google are the two most significant sources of traffic to publishers. Facebook drives about 17% of the inbound visits to DCN members; Both companies share less than 1% of their revenue with DCN members. They are very important for the discovery of news and entertainment. Yet they feel it is very unimportant to pay for the creation of it. These gaps aren’t going to be closed through hearings in Washington. They’re also not going to be closed by walking away from dialogue. Ultimately, we need major platforms to decide that moonshots matter and be both humble enough and comfortable enough with their own vulnerabilities to work with publishers and academics on solutions. I don’t see that happening yet but I believe that we’ll get there in time. It’s just that important. Trust is an opportunity. Don’t miss it. The problem is simple. The solution is hard. When DCN (re)launched in 2014 as the trade organization for the future of the premium publishers, we predicted a decline in trust in our industry which has, indeed, bore out. The thesis: A migration to automated channels for both the delivery of advertising and the discovery of content represented a significant opportunity. But we also warned that the industry needed to make consumer, advertiser, publisher trust a priority in order to fully realize the opportunity. Now we have to ask ourselves: Has the industry failed in doing this? With trust at the core of everything we do, DCN has spent much of the past three years shining a light on advertising supply channels, advocating positions that align with consumer trust, and learning from each other across the growing DCN membership. This week, DCN released new research showing a measured and significant decline in trust for digital information discovered on Facebook and YouTube. It’s a problem that no one wants to talk about as it puts us at direct odds with the most powerful companies on the planet. But it’s real. And it’s a real problem for the whole industry. Unlike much of the previous research, this study focused on more than news, analyzing the impact on entertainment content and also on advertisers. One significant finding is that the gap in trust on social networks and YouTube also impacts the publisher and advertiser brands that choose to participate in these platforms. As always, developing a nuanced interpretation of research is critical. The easy spin is to argue for a reversal of trends by pointing out that brand websites and apps enjoy considerably-higher trust than Facebook and YouTube as sources of digital content. They do. However, history shows us that’s the short-sighted and self-preservation mindset publishers don’t need. For more than a decade, newspaper and magazine companies hoped that young readers would migrate back to print. They didn’t. In fact, as Bharat Anand pointed out at the DCN Next: Summit last January, the great migration away from newspapers began in the 1940s. Here is the rub: We’re not going to beat the major platforms – Facebook, Instagram, YouTube – at what they do best. They provide remarkable scale and ease-of-access to information and entertainment. At the same time, they provide microtargeted audiences and ease-of-buying for advertisers. Quite simply, they are formidable players in the industry for both publishers and advertisers. But they have also been a significant force in driving the bar lower on media trust. Combined with a White House executive office seeking to discredit the media, we’re in a gnarly vortex and struggling to find the way out. What we do know is that the solution to this problem will need to include the same ease of discovery of news and entertainment as provided by the platforms. Friction is not your friend. And advertisers are going to continue to want more in scale and automated channels. These two trends are irreversible and align with consumer and advertiser needs. Facebook, Instagram and YouTube, must be forced to enable a future beyond just protecting their financial interests and begin to take responsibility for their role in the larger digital media ecosystem. The shot: Only significant global pressure will force Google and Facebook to risk their own business interests and be accountable to media overall. More and more analysts are seeing it. At the recent Business Insider Ignition conference, professor and analyst Scott Galloway absolutely crushed his argument that Facebook and Google should be broken up. If you haven’t seen his remarks, I strongly recommend you watch now. Unbundling YouTube, DoubleClick, WhatsApp, and Instagram from their respective acquirers is a hard but a logical step. Advertisers and agencies are fed up. Facebook and Google are enduring multiple colonoscopies as they submit to full audits of their measurement systems. No doubt Facebook has significant exposure here. Trust but verify. Publishers are pressing Facebook and Google for more value which comes in the form of listening to their needs, supporting their business models and increasing brand presence in their feeds. The press is starting to hold Google and Facebook accountable. The increased scrutiny of the company’s influence on academia, think tanks, and lawmakers – along with the overwhelming exposure of their issues – has made for an uncomfortable 2017 for the platforms. The more the independent press digs in, the more problems they find and the more safety in numbers as they call out the most powerful companies on the planet. The chaser: Premium publishers are the solution. Advertisers are also expressing an intention to move their investments towards higher-trust media and measurement while doing everything they can to avoid being associated with the cesspools that exist on Facebook and YouTube. Remarkably, every quarter of 2017, DCN members have seen sequential growth in digital revenues versus the same periods last year. In the swirl of what has been called the Media Apocalypse, DCN members are seeing the distant light. As much as Google and Facebook foresee opportunities to grow trust in their media by embracing trusted media brands, we’ll all come out for the better. 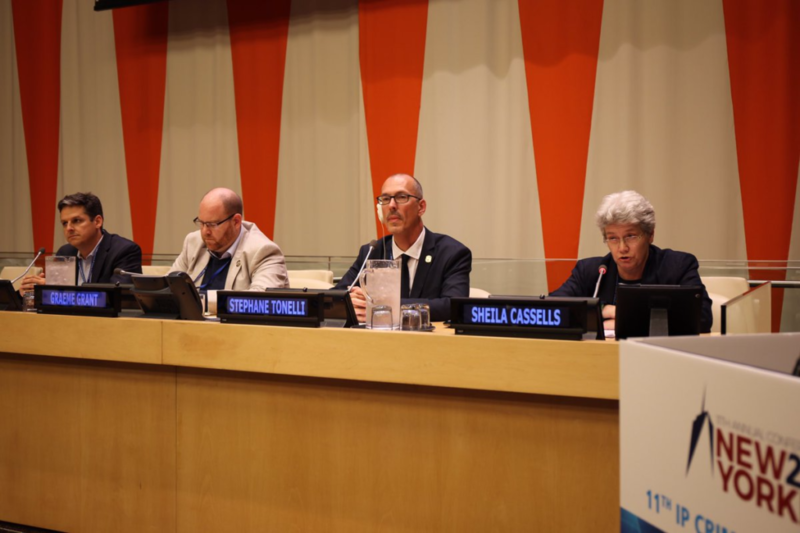 The following remarks were given by DCN CEO Jason Kint on August 29 at the 2017 International Law Enforcement Intellectual Property Crime Conference in New York City – United Nations Headquarters. Good afternoon. My name is Jason Kint. I am the CEO of Digital Content Next. DCN is the only trade group dedicated to serving high-quality digital content companies that manage trusted, direct relationships with consumers and advertisers. We have grown to represent more than 80 digital media companies which reach 100% of the U.S. online population and are leading much of the evolution in news and entertainment. Despite the incredible advances of the last 20 years, the internet still holds vast, untapped potential for consumers. Devices are getting smarter. More immersive experiences roll out every day. At the same time, premium content companies face challenges in the transition to a digital world. What business model works best for each brand? How much should they partner with the big platforms? Is their content being used fairly? Are they being credited and compensated appropriately? Our members are at the forefront of these challenges – investing in engaging experiences and experimenting with new ways to distribute and monetize their content. Copyright piracy is a serious crime that undermines the progress to a healthy digital ecosystem. Ultimately, it costs consumers in the form of higher prices. But, copyright piracy also hurts the ability for media companies, our members, to monetize their content. Newspapers are constantly fighting online scams that offer discounted or free subscriptions to their premium content. In a case this spring, one website was found to be offering discounted subscriptions to 20 or so premium news sites including our member, The New York Times, Financial Times and Wall Street Journal. The site’s owner would sign up for free trial or short-term subscriptions and then re-sell the subscription as a full-year subscription. Of course, he collected full payment up front. The newspapers were tipped off when consumers called to complain that their subscription had been cut off after a few months. These efforts to combat piracy cost resources and money, but they also have real damages for consumers. Live sports broadcasts are another category that is particularly vulnerable during the transition to digital.Companies are experimenting with new ways for consumers to view this highly compelling content. But, these efforts are undercut by thieves who blatantly post full live streams of entire games on social media or other platforms. According to one study, 54% of millennials have watched illegal streams of live sports and a third admit to regularly watching them. This impact is felt disproportionately by smaller media companies with fewer resources to monitor and stop these crimes. Ellen Seidler, an independent filmmaker took out a second mortgage and racked up credit card debt just to make “Then Came Lola.” In 2006, it debuted at film festivals and then was released via DVD and via streaming sites. But the movie only grossed a quarter of what was expected because Ellen found that the movie was available for “free” on thousands of pirate sites. Similarly, Maria Schneider, an independent musician, testified before the US Congress that she has no time for making music anymore as she focuses entirely on protecting her copyrighted works. She is an artist who hast lost the time to create her art. In a game of whack-a-mole, independent creators like Ellen and Maria don’t stand a chance. And, left unchecked, consumers will be left fewer options for high quality news and entertainment. Another harm, unknown to many consumers, is that many of the pirate sites also traffic in malware. According to a 2015 study by the Digital Citizens Alliance, one out of every three pirate sites contained malware. As organized crime syndicates moved into the content theft business, they saw the opportunity to make more money by distributing malware. To really combat content theft, we need more resources/focus/coordination from law enforcement. Piracy actors react differently to law enforcement than they do to lawsuits. For instance, when Megaupload was taken down, a number of cyber lockers got out of the business. That wouldn’t have happened without the attention of law enforcement. We also need more attention from Google, which holds a monopoly on the internet search market. Currently, Google will flag pirate sites after thousands of downloads or complaints. But, they make no effort to favor authorized copyright holders or trusted sources in their algorithm. Instead, Google crawls the Pirate Bay and other known copyright thieves every day to ensure that content can be found. Google enables this game of whack-a-mole that places a huge, unreasonable burden on the copyright holder. Google works with many of our members to take down pirated content, but they can and should do more. The same holds true for Facebook. Content creators don’t have visibility into these platforms to see where their content is being shared illegally. 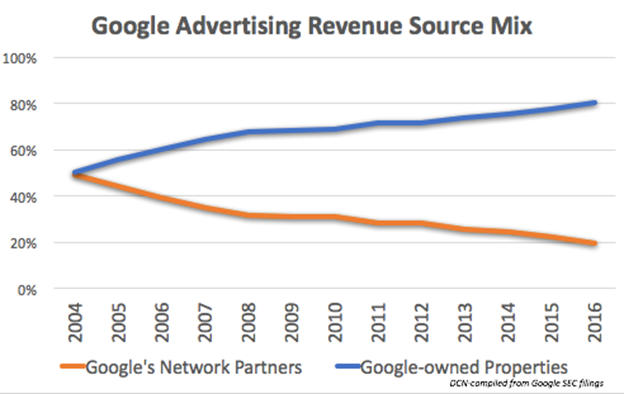 Google and Facebook collectively act as a duopoly, sharing as much as 99% of the growth in advertising last quarter. At the same time, the platforms are slow to adopt measures to combat fraud or even provide more transparency to protect the content ecosystem. More can be done to ensure that valuable content isn’t illegally streamed. We’re living in a new, unprecedented digital era. Consumers have the ability to discover premium content and experiences like never before. Facebook and Google engineers have created social and search discovery engines which are quite literally changing global society. But, without greater protections for content, consumers might be left with all the tools of discovery but with a bad malware hangover and no good content. Thank you for having me. Our President relentlessly attacked the press for 30 minutes on Tuesday evening. Make no mistake, Trump’s words and blatant disregard for the free media sends chilling signals and has a ripple effect with real consequences for reporters around the globe. He has that power. On the other hand, MSNBC exercised its right to effectively block Trump’s attempt to rewrite Charlottesville history by switching over to its studio for context and commentary about half an hour into his remarks. It should be noted that you—the audience—have the right to turn off MSNBC if you don’t approve of its broadcast. This is how a free media works. Much the same, you can choose to read Trump’s tweets, ignore them, or block his tweets if you don’t want to see them at all. This is how open technology works. You have that power. But in Silicon Valley, where technology companies pretend to stay “neutral” to avoid these messy issues, things are only getting more complicated. The platforms continue to assert that they are not media companies, or at least not “traditional” media . And this distinction is important because, as Josh Constine pointed out, pure technology platforms receive greater immunity regarding the content they serve, both legally and in the public eye. Media companies are considered more directly responsible for their content although ironically the platforms often get undue credit for delivering it. Yet—in part because of moral outrage, and pressure from media watchdogs and international governments—tech platforms do step up willy-nilly to exert their control over content. Well-intentioned or not, the loose rules and vague promises of technology companies threaten to block the important role of the free media and the ability of the public to stay informed. While our President was struggling to adjust his messaging to speak out against neo-Nazis and white nationalists marching in Charlottesville, these abhorrent humans had their favorite website, Daily Stormer, effectively shut down. “Literally, I woke up in a bad mood and decided someone shouldn’t be allowed on the Internet. These are the words of the CEO of network security company CloudFare, who decided early last week to remove its protection and stop defending an indefensible website as a client. This followed after two other companies, GoDaddy and Google, refused to provide DNS services for Daily Stormer. These technology companies have the ability to silence this viewpoint. And they did. However, the Electronic Frontier Foundation (EFF) called these moves “dangerous.” I agree. Take a look at EFF’s Free Speech weak links and you’ve got a jackpot situation of intermediary technology companies, and their CEOs, that possess the ability to shut down a site. No one should have that power. Make no mistake, I’m as pleased as anyone that the website Daily Stormer was reduced to zero audience. I do not have an ounce of worry for their fate and I do hope the site sinks to the bottom of the garbage heap that is the dead web. But there is an underlying concern that has been exposed here. Right. And thank you to Margaret Sullivan for putting this statement front and center as she weighed in on Charlottesville this week. Simply put, no intermediary should be able to single-handedly shut down a website. Unfortunately, our beloved open web appears to be broken. And because of flaws in its own brilliant design, they can. The FCC is in the final step of throwing out the Open Internet Order, which will effectively gut Net Neutrality. Make no mistake, this will allow a broadband provider to block content it doesn’t like. Broadband providers have promised they would never do this, and I trust that most, when left to their own judgment, will not. But we need only to look towards the Middle East and China for the reasons we must not sit idle and blindly trust such promises. No one should have that power. Much the same, it is impossible to run a successful web media business without being discoverable on Google Search. Any publisher who turns down Google’s business rules for search is effectively off the grid – much the same as the Daily Stormer. No one should have that power. Ultimately, we need a modern framework for when it’s acceptable for an intermediary to shut down a website or silence a voice. Search and social platforms are inexorably intertwined in our web experiences. So, they must—like the media companies with whom they so greatly rely upon—fully grasp and support freedom of speech and the open web. In fact, we need a new framework for public officials on Twitter. Right now, we have a situation where White House spokespeople, from the controversial advisor Sebastian Gorka to the President himself, block individual Twitter users. This is simply not the same as an individual blocking a troll. This is a case of public officials silencing an emerging channel for the public discourse that is a pillar of our system. But beyond blocking individuals, politicians are also blocking reporters on Twitter. This shouldn’t be seen differently than a reporter blocked from a White House press briefing. Twitter is part of the modern media ecosystem and in fact has been declared official statements of the White House. And all media has a responsibility to share the statements of political officials with the public. Yet somehow, we find ourselves in a place where the single American who wields the most power is now able to block the public from reading and engaging through our modern media. No one should have that power. Even if you accept the idea that public officials should have the right to block accounts on Twitter (which I don’t) then there at least needs to be public disclosure of the accounts they’ve blocked. It is significant that any blocked users are permanently unable to read the official statements for these officials. No one should have that power. The Internet has created a global forum for communication, expression, and the dissemination of information. It has triggered the emergence of exciting—and dispiriting, even dangerous—technologies. It has transformed the very definition of media. Yet none of these developments has diminished the importance of the First Amendment. Technology evolves. The medium for media evolves. But our commitment to our fundamental American values must remain steadfast. This is far from the last time we will be called upon to consider these values in a new context. Let us do so in a way that supports progress along with public discourse and an open Internet. Therein lies the real power. Over the past few years, marketers and publishers have become increasingly concerned that they can’t see through the forest of ad tech. Predictions of carnage in the “ad tech complex” are not new. Terry Kawaja, founder of LUMA Partners, has long foretold hard times. While Terry is in a privileged position as a mergers and acquisitions expert, his February statement that a whopping 90% of the current ad tech companies will disappear (without successful exits) took many by surprise. As you likely know, I’m a firm believer in the open and competitive internet. One of its great advantages is an environment in which innovation and disruption can spawn seedlings of new ideas and opportunities without great barriers. In addition, I’ve long been on record that programmatic ad technologies will unlock new efficiencies in the market. Automation is the future and we should embrace it. But there is no doubt that the trees have started to fall and the forest has begun to thin. I’ve personally been eager to take an axe to a few of them that are rotten to their core. But how they fall will be important. There are five strong forces about to hit the ad tech landscape that are likely to cause damage to those who are unprepared. Publishers should use this as notice to their operations teams to ensure their businesses are ready. The press had a field day lately covering Google and YouTube’s “brand safety” crisis as more than 300 advertisers publicly boycotted Google. It was the number one topic on both sides of the Atlantic as I witnessed at ExchangeWire NYC last Wednesday in NYC and the next day at European Advertising Week in London. All eyes are currently on Google. But the reality is this issue has affected our industry for many years. Brands are damaged when advertisers and their “agents” (quotes used intentionally) rely too much on technology to guide the flow and placement of their advertising. This is a familiar issue to the other half of the Duopoly, Facebook, too. Audience targeting without consideration for environment works fine for direct marketers who are simply trying to fulfill demand through clicks and moving product off shelves. But when brand stewards look to digital to create desire and demand—and shape minds—the context and environment for their advertising is vital. Clearly, the pendulum swung too far. As with many other road bumps for Facebook and Google, they’ll use their scale and dominance to lure advertisers back into the fold. However, many small and mid-sized ad tech companies won’t be able to adapt as advertisers seek assurances on their ad placements. Advertisers have taken note of the amount of value leakage with these same intermediaries in the ad tech ecosystem. It’s clear that almost no one sitting in the supply chain has been truly accountable to the two principals, the marketer and the publisher. Remember, these are the only two stakeholders that are recognized brands and rely on the trust of the consumer. Marketers have now set a goal of 70% of their investments going to working media while the first lawsuit is being filed by a premium publisher. Over the past year, the Sand Hill interest in ad tech has been drying up. There is a brutal combination of a maturing landscape and an absence of predictable exit strategies. While the public market has been unfriendly to ad tech for the past couple of years (see FUEL, RUBI, PUB, TRMR, MM), Google, Facebook, Oracle and Aol have also stopped buying. Yes, Chinese dollars are still out there but no one should be excited about this option. If trust and transparency need to be built in the ad tech ecosystem, it’s not wise to invite investment from China. Google and Facebook are under a lot of pressure here in the U.S. Very quietly last week, ad tech was hoodwinked into supporting the Senate’s vote to abolish the FCC’s rules which will open the doors for all ISPs to now resell consumers’ browsing history and location data. This will relieve any concerns at Google and Facebook that rules may creep into their businesses as the bar has now been lowered even further. The regulatory concerns that forced Google to allow header bidding are gone in the new Washington. More importantly to ad tech, every ISP now has the ability to compete and replace the ad tech services business. Verizon is in the pole position to own this space having cobbled together and transformed an array of ad tech assets into an ability to deliver the full supply chain with unique access to the sensitive data of nearly every American coupled with the inventory of MSN, Yahoo, Aol and the wider web. These are four letters that most small to mid-sized ad tech companies have wrongly delegated to their legal counsel. However, they need to know the European Commission’s General Data Protection Regulation (GDPR) is coming at them like a freight train that will impact their entire business. In a little over 12 months, the already finalized GDPR will be the law of the land across Europe. Importantly, it will create risk and obligations globally as it will serve as the de facto gold standard on data protection for much of the world. Well, except for the United States. Although the jury is still out, it likely will serve as an opportunity for any publishers who have a strong and trusted relationship with their consumers. However, it’s universally understood GDPR will take a chainsaw to much of ad tech as none of these companies have relationships with consumers to solicit or justify consent in order to continue their data collection. What is the broader impact on the ecosystem if Terry is right and much of the ad tech forest truly falls? It’s hard to tell. With careful planning, the companies who deliver consumer products will avoid impact. There is a fairly good argument it will benefit most DCN members—premium publishers. That said, the study does allow us to better analyze the contributions of the ad tech ecosystem. The IAB/HBS study approximates the US internet advertising market at $1.21 Trillion (6% of GDP). Using the IAB’s own estimates of the revenue in ad tech, not counting the Google and Facebook duopoly, only a measly 1.5% ($28 billion) of the internet advertising market is at risk. I guess the question is, will the felling of the ad tech forest even make a sound? And an important question for the industry: What happens if there are only two trees left standing?